Instagram is one of the best destinations for discovering new design resources. KDHamptons recently landed on a new luxury lifestyle brand called Henri Paige Designs, founded by Paige Gemmel and Carter Henry Graber. 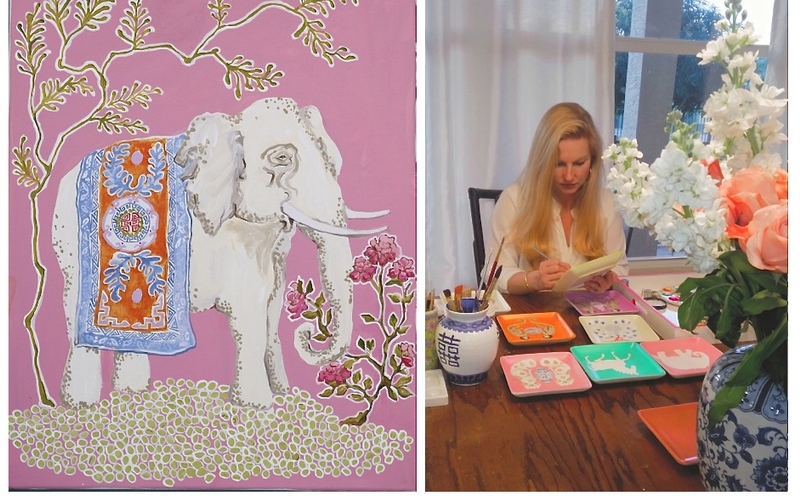 The design duo create traditionally chic home accessories in a bright, whimsical style by incorporating Paige’s original artworks of subjects including Staffordshire Terriers, monkeys, and elephants. 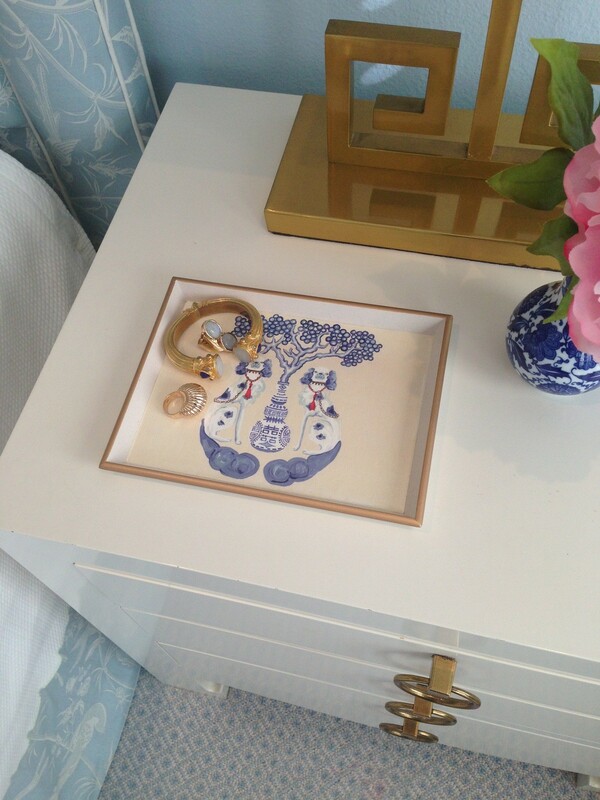 Perfect for a Hamptons hostess gift, or simply to keep your jewelry in by your bedside, Henri Paige designs will bring a cheerful element to any room they live in. 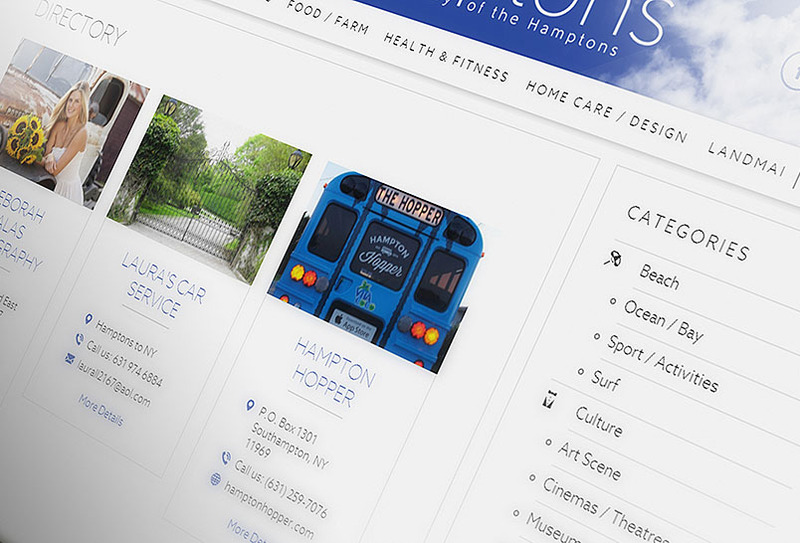 KDHamptons: What inspired you to launch Henri Paige, and what type of products do you offer? 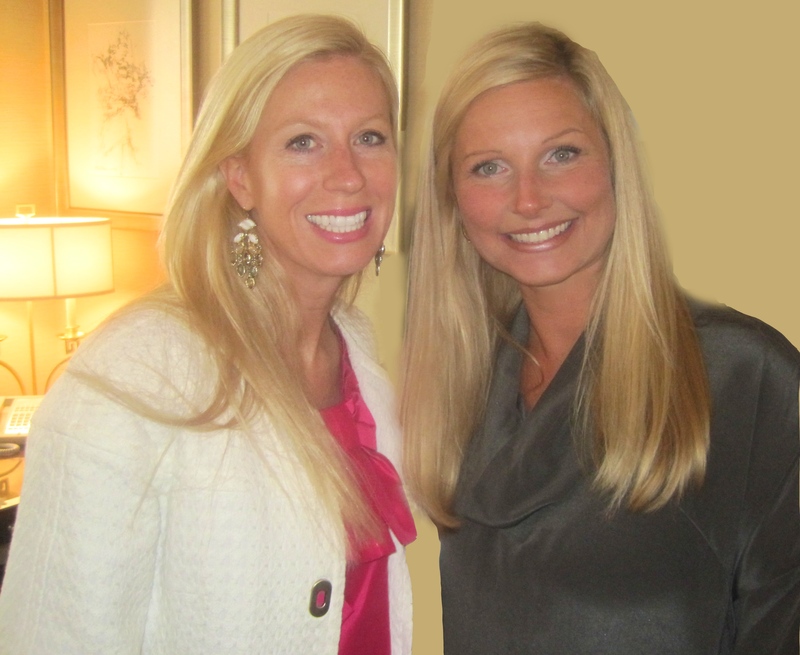 Paige Gemmel: Carter and I are lifelong friends, she lives in San Francisco and I live in Palm Beach County and we recently decided to launch the Henri Paige brand. The designs on the products are my original artwork. 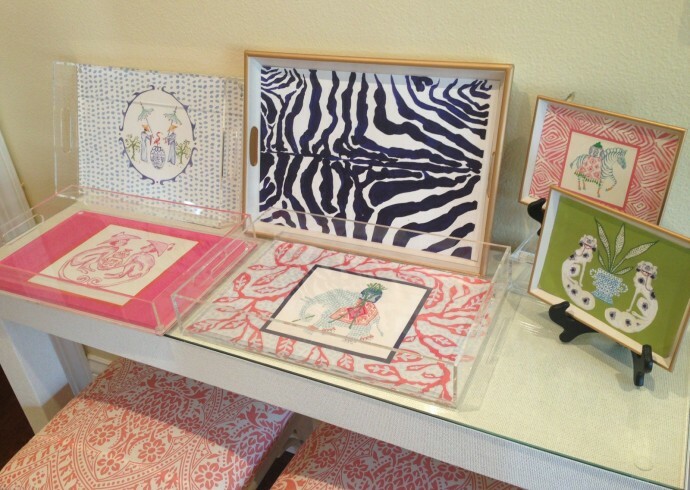 Currently, Henri Paige offers a lucite tray line and giglee prints, and we have many more exciting ideas in the works. KDHamptons: How did the two of you meet? Paige: Carter and I met when were 10 years old spending our summers together in the mountains of North Carolina. Who would have thought that 30+ years later our friendship would be bonded by endless hours of talking on the phone about design blogs we liked, a fabric we saw, colors that made us swoon, etc. We were design obsessed friends! KDHamptons: Carter, how would you describe Paige’s artwork? Carter Henry Graber: Paige has such a talent and her art is very special. 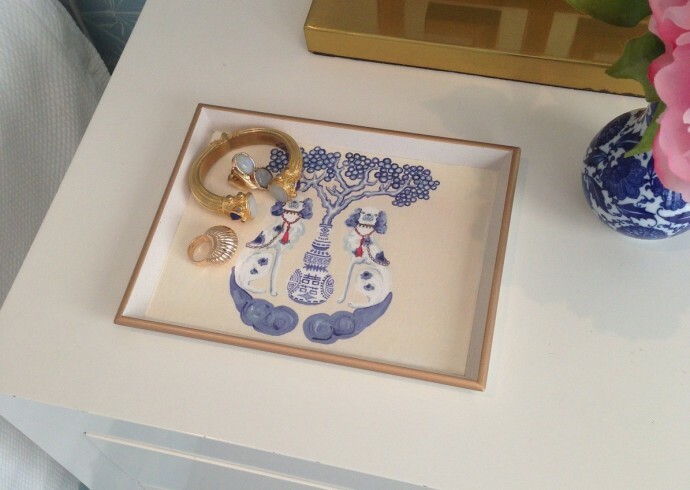 With her artwork we strive to use familiar elements with a twist. For example traditional English Stafford dogs in hot pink! 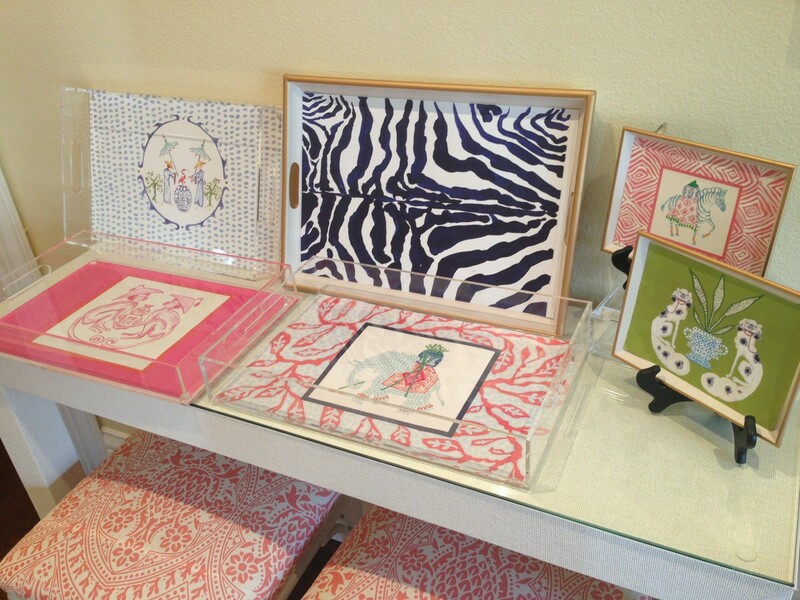 We had our first trunk show in San Francisco and completely sold out of inventory in two days! KDHamptons: Paige, how long have you been painting? Are you self taught? Paige: I have been drawing and painting my whole life. I am self taught but received my BFA at University of Florida. After giving birth to my fourth child I finally became more serious about my art and really felt the need to do something with it. 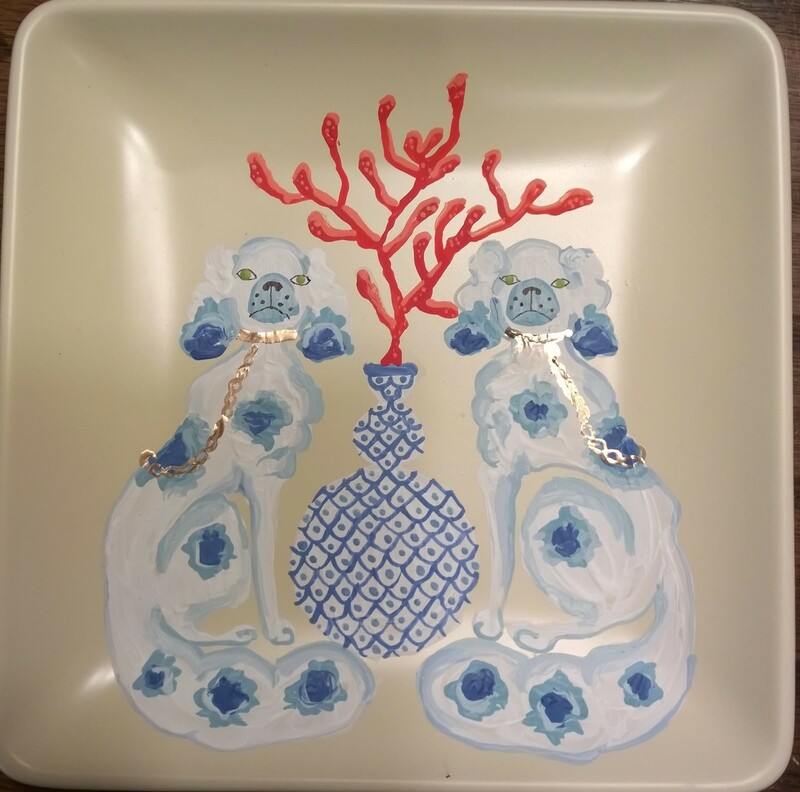 I don’t take my art too seriously, and the idea of finding ways to merge art and home decor really excites me and drives me to always be coming up with new designs. 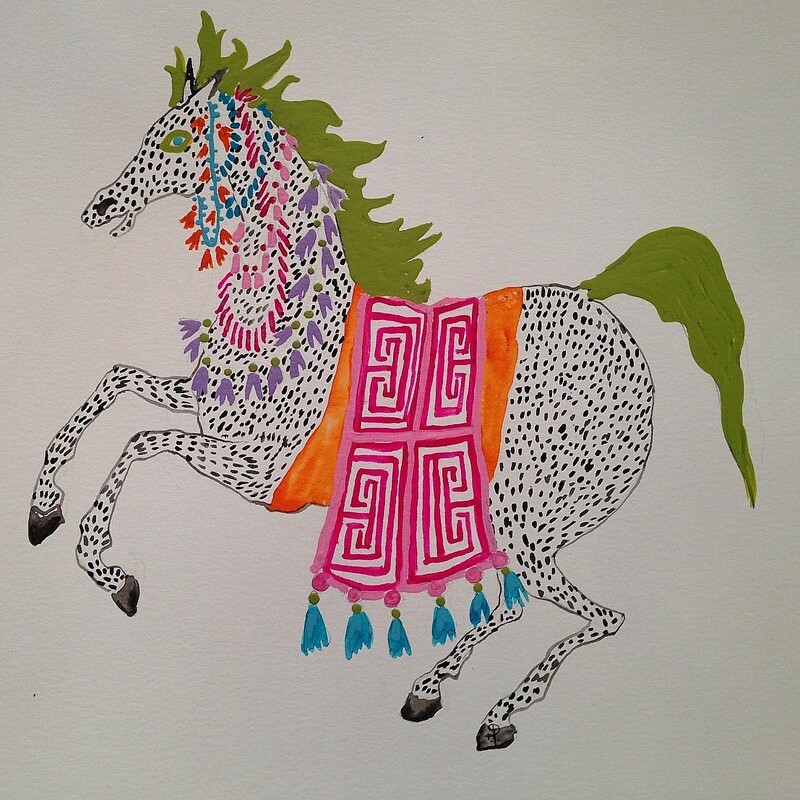 KDHamptons: What inspires your whimsical designs? 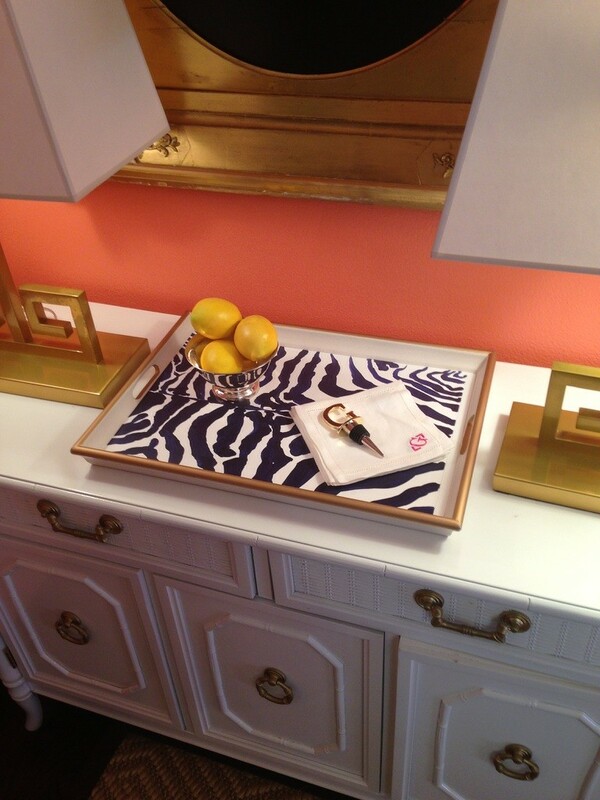 Paige: I am inspired by great color, textiles, rugs and interior design. Animals as well, especially interesting poses and silhouettes that I can fill with patterns. My mother and stepfather own Homes and Land of the Palm Beaches magazine and my father is a well known architect in the mountains of North Carolina and Telluride, Co so I grew up seeing beautiful homes being created from drawings all the way up to being decorated for Decorator’s showhouses. I have a passion for beautiful living spaces. My style is contantly evolving. 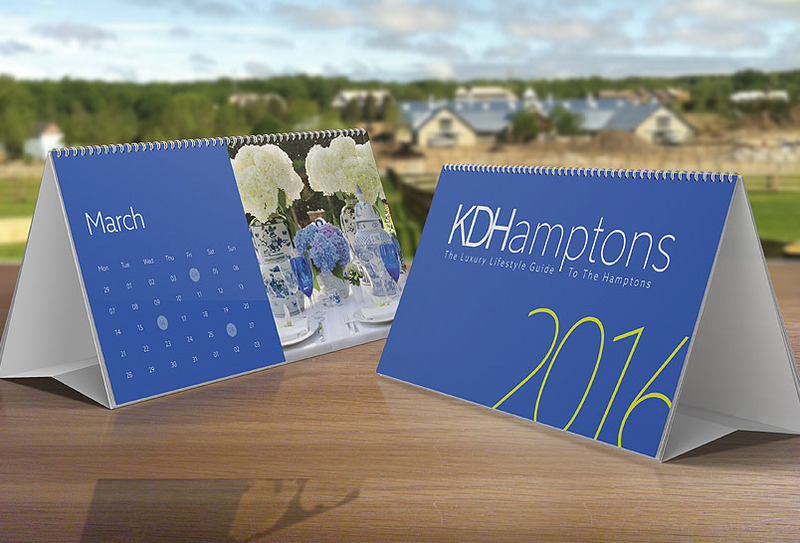 KDHamptons: How long does it take you to complete a design? Where can our readers but your product, and what is your average price point? Paige: Once I have the complete look and subject in my mind it doesn’t take me long. It is usually coming up with color combinations, and finding a textile, pattern or shape that inspires me that takes the longest. We are currently revamping our website so that customers will be able to buy our products directly from us. But until that time, readers can find us at our Etsy shop, Henri Paige. 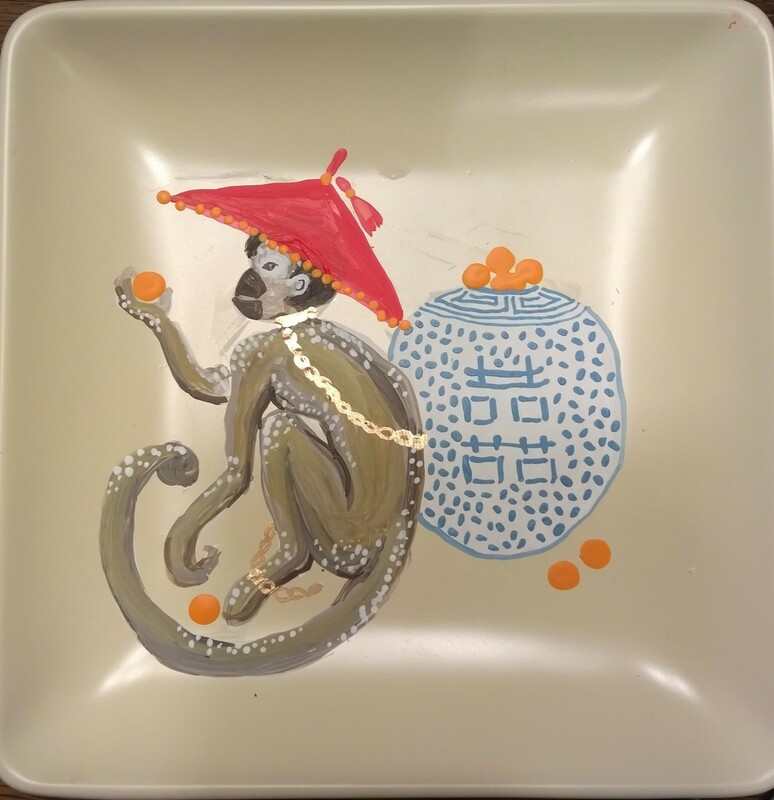 We add more products all the time: Lucite trays featuring our artwork, prints of my original paintings, as well large wood trays and small wood vanity trays. 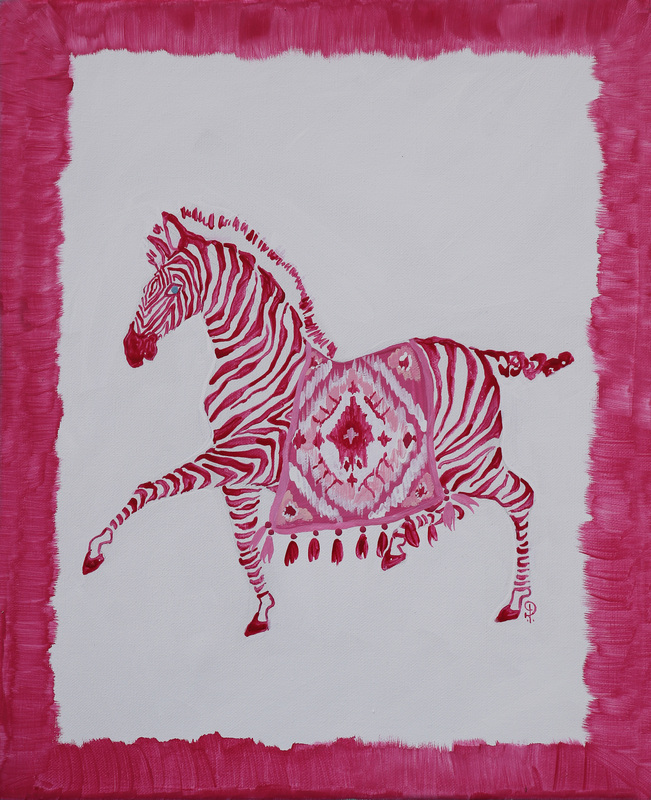 Look for Staffordshire dogs, elephants, zebras and monkeys to be in the mix, always combined with fun colors and interesting patterns. 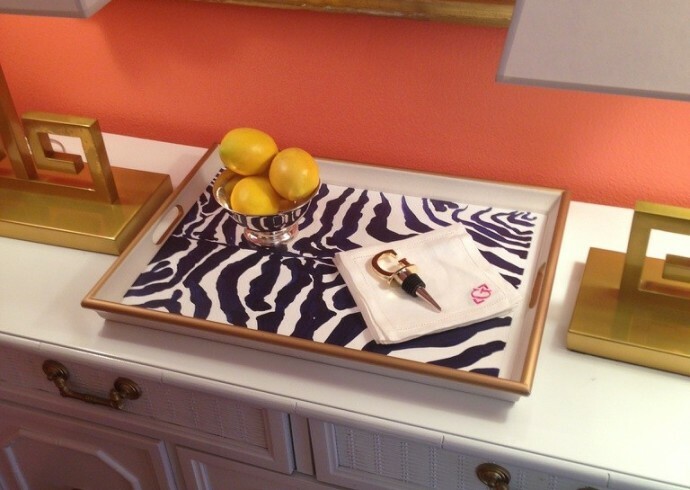 The Lucite trays start around $125 and the smaller vanity trays start at $75. 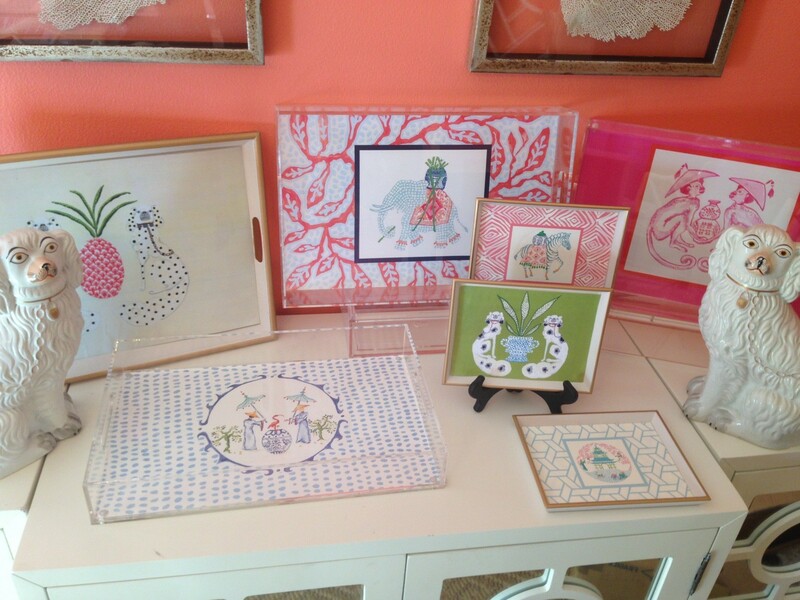 KDHamptons: What’s up next for the Henri Paige brand? Paige: We have so many ideas that we sometimes have to reign ourselves in! 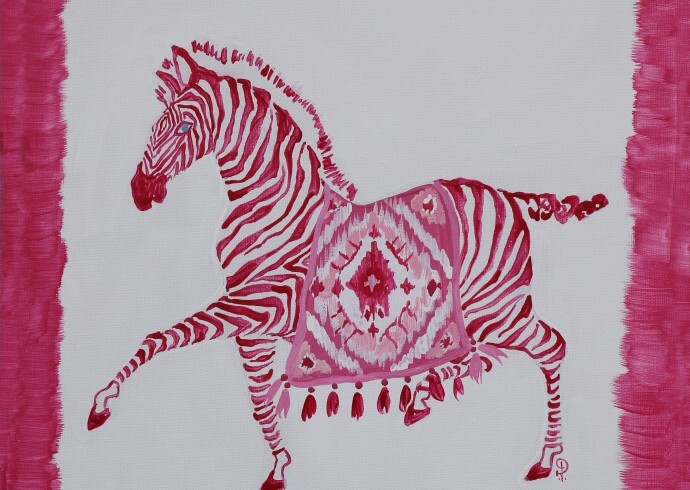 Our dream plan is to do a textile/fabric range along with pillows and other home decor objects.